In the online casino operator industry, it’s not every day that you are able to find a veteran in the making, and Jackpot City is definitely one of them. This online casino platform has existed for two decades practically, and still continues to offer its services with impeccable quality and uncompromised security. Since 1998, when Jackpot City Casino first entered the business, they have strived to set an example for the newer platforms joining in. Once they established themselves as a separate entity from the rising number of scam operators, Jackpot City Casino has abided by every regulation mandatory to keep it that way. Just the lasting dedication and conviction are enough to make their case, but this casino has a lot more to show for it. 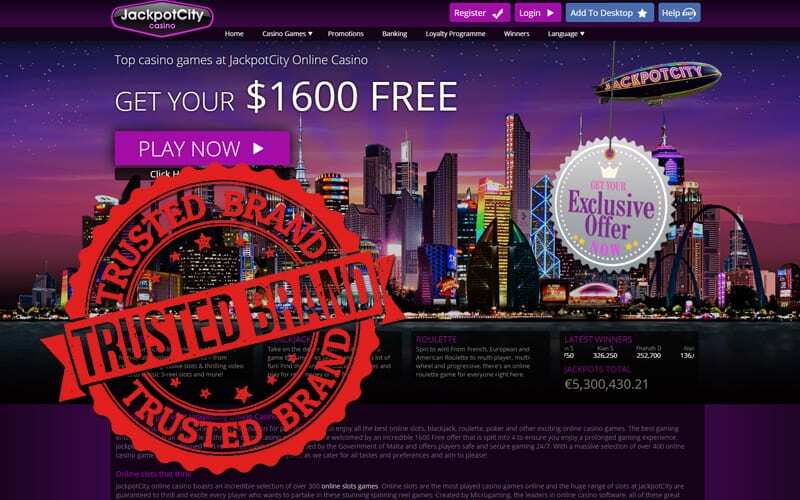 For one, Jackpot City holds a license from the renowned Malta Gaming Authority, an esteemed example of this line of work. It is, in fact, the thing responsible for putting US and UK players among restricted ones, while New Zealanders and many others are still entitled to enjoy the privileges it has to offer. What is more, this online casino platform has made a step further for these players. If there is anything that could answer the question ‘is Jackpot City Casino safe’, then it must be their seal of approval from the independent company eCOGRA. It proves the platform’s reliability, security and rightful treatment to all information, and above all, the provable fairness of the RNG. Once players have been assured of their true chances of winning at Jackpot City Casino, its credibility experienced quite a boost. Nowadays, this casino is part of a handful of reliable ones that managed to overcome the passage of time and come up strong as one of the most reliable NZ casinos. And that is not all, as Jackpot City has managed to protect something else other than information – the spirit of true Las Vegas nights of gambling under the neon lights is also there.